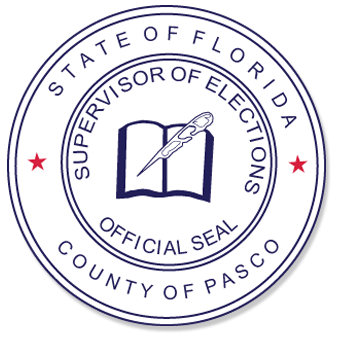 Pasco County FL - Brian E. Corley, Supervisor of Elections, Pasco County announced early voting for the 2019 Special Primary Election is opening at two locations this Saturday, March 30, 2019, and will continue through Saturday, April 6, 2019. Voters residing in House District 38 may vote early at the East Pasco County Government Center and the Central Pasco Professional Center on Saturday and Sunday from 9:00 am to 5:00 pm and Monday through Friday from 10:00 am to 6:00 pm. Voters within the municipalities of New Port Richey, Port Richey and Zephyrhills may also vote for the Municipal Elections at these early voting locations. The Special Primary Election is a closed primary for registered Republican voters only pursuant to F.S. 101.021. Voters must present a photo and signature ID when early voting or vote a provisional ballot. To expedite voting, voters who need to update their voter registration address are encouraged to call the elections' office prior to voting at 800-851-8754. To find out if you are eligible to vote in the Special Primary Election, go to https://www.pascovotes.com/Voters/Am-I-Registered. Maps, directions and wait times for both early voting locations are available at https://www.pascovotes.com. Early voting turnout will be available beginning opening day.